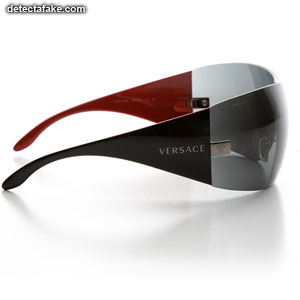 Versace sunglasses are one of the top quality sunglasses on the market. The counterfeits that have surfaced are far lower in quality but, in some cases, hard to detect for someone that is not familiar with the brand. View the steps below so you don't get fooled by the fakes. The first thing to do is look at the quality of the glasses (and the box, if they are new). If it does include a box, make sure everything is spelled right (especially Versace) and that there are no printing quality issues. 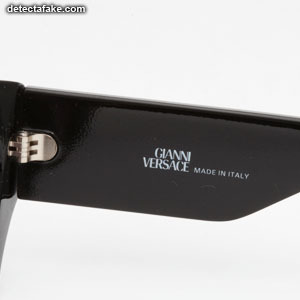 Make sure your glasses say "Made in Italy". 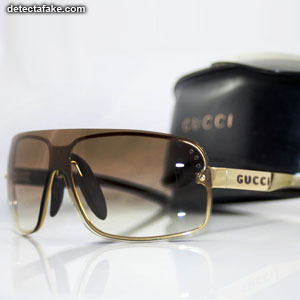 All Gucci sunglasses are made in Italy and are stamped. So if they say they're made from somewhere else, or aren't stamped at all, they're fake! Also, any accessory items, like the case or cleaning cloth, should not say "Made in China". 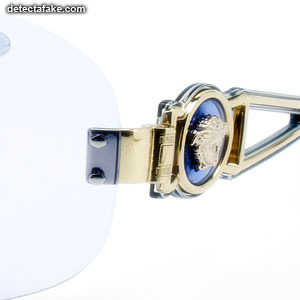 Next, make sure the Versace model number is printed on the inner stem. 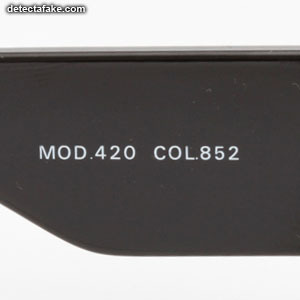 If you don't see a model number, they're fake. Now search for your model number on the internet and make sure the ones you find, with that model number, looks like yours. Many of the counterfeit numbers don't match up with the real ones. 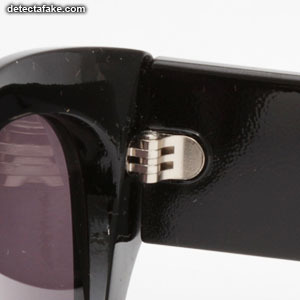 Next, If your Versace sunglasses claim to be polarized, check for polarization. 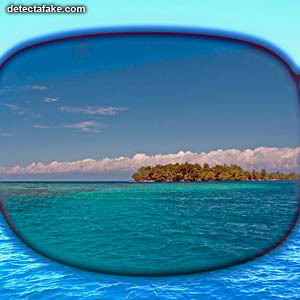 Put the sunglasses up to a computer monitor and rotate them back and forth. 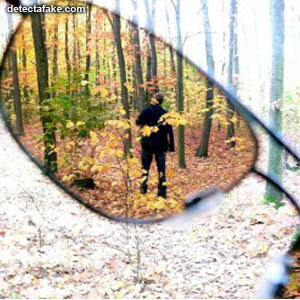 If the glasses are polarized you will see them turn dark.